Welcome to Worthington. This pristine, peaceful, and private enclave is just minutes from the acclaimed culture and World-Famous beaches of Sarasota. An intimate community of only 156 stunning homes of West Indies, Tuscan, and Craftsman-style architecture with tile roofs and every home site view is either water or nature. Nearby there’s golf, tennis, parks, restaurants and shopping galore as UTC Mall is only a short ride away. You will be just minutes away from Sarasota’s famed “Celery Fields Park”, runners, walkers, and bikers will have the world at their front door. Sarasota’s vibrant and eclectic downtown scene is only 10 miles away, and the sugar-sand beaches of Siesta Key are just a short 20-minute ride from your door. 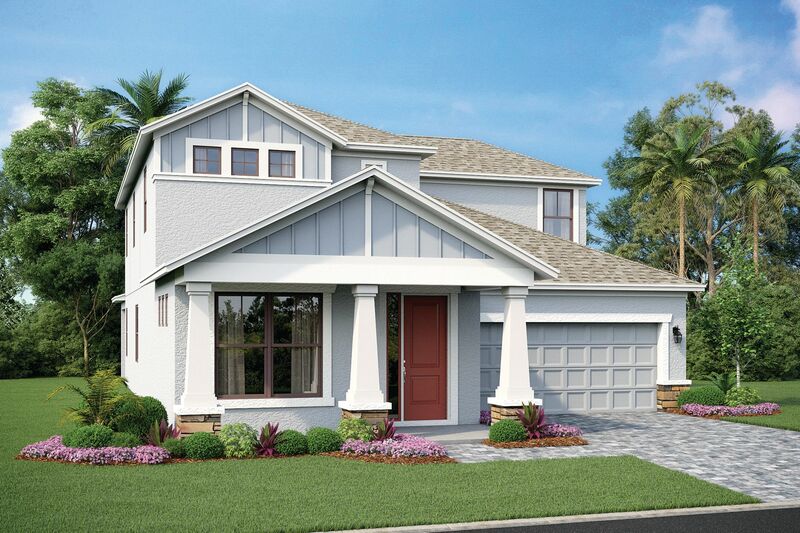 This gated community is ideal for growing families and is in one of Florida’s best school districts. Our local Design Center will help you create your dream home with your own unique and distinctive touches and finishes. Sunshine included free daily! Florida’s Cultural Capital – Sarasota and Worthington, your new home and new lifestyle.